The study, originally scheduled to be published Feb. 4 in the AAP journal, Pediatrics, was released "early" in an effort to blunt the impact of tonight's broadcast of a fictional drama on ABC-TV that highlights the ordeal of a family whose son developed autism after receiving mercury-containing vaccines. Here is what all the fuss is about (for today at least): Pichichero claims his study of about 200 babies and children, who were injected with vaccines containing ethyl mercury (thimerosal), showed that measurable mercury levels in the blood of the children were gone within 3.7 days. This, says Pichichero, is much quicker than the average 44 days it takes for methyl mercury (found in fish) to be undetectable in the blood. Ergo, he says, exposure to thimerosal does not cause brain damage or autism! Not so fast, says Thomsas Brubacher, M.D., a scientist who studies the biological effects of ethyl mercury on primates. "Just because it came out of the blood doesn't mean it is excreted from the body. It could have gone to the brain. In primates, you actually get more mercury in the brain after exposure to ethyl mercury than with methyl mercury - it has an easier time crossing the blood brain barrier." MERCURY IN ANY FORM DOES NOT BELONG IN VACCINES OR ANY OTHER PRODUCT CONSUMED BY HUMANS. The AAP leadership and doctors inside and outside of government, who have become apologists for unsafe vaccines and one-size-fits-all vaccine policies, are dancing like clowns as they threaten freedom of the press and attempt to cover-up vaccine injuries and deaths not only potentially caused by thimerosal - but also potentially caused by many other biological mechanisms involved in vaccine induced brain and immune system dysfunction, including autism. The dance would be almost comical if their stubborn defense of mercury in vaccines did not reveal so much more about a cavalier disregard for scientific truth and human life. I sighed with recognition when I learned that the leadership of the American Academy of Pediatrics (AAP) had written a letter and issued a press release on Jan. 25 calling on ABC-TV to cancel tomorrow's premiere episode of a fictional drama about a family whose child regresses into autism after vaccination. On the same day, the American Medical Association (AMA) called on ABC to "mitigate the harm this episode may do" such as re-writing the script. The CDC-funded Immunization Action Coalition (IAC) also piled on ABC-TV, urging doctors to put pressure on the network to cancel the broadcast while seven former directors of the CDC maintained in a Jan. 29 March of Dimes press release that "The implication that vaccinations cause autism is irresponsible and counter productive." This latest coordinated attempt by physician leaders of America's medical establishment to muzzle the media's exploration of vaccine risk issues that have been making headlines for nearly three decades is reminiscent of the coordinated denials of vaccine risks by these same physician leaders in April 1982 when NBC-TV broadcast the documentary "DPT: Vaccine Roulette." It was a landmark documentary which earned television journalist Lea Thompson an Emmy and initiated a public dialogue that would change the course of medical history. In 1982, when the NBC-TV documentary exposed the dangers of DPT vaccine, physician leaders in the AAP, AMA, CDC and other medical organizations joined together to discredit Thompson and everyone associated with the broadcast. An article in the July 1982 Journal of the American Medical Association (JAMA) labeled the NBC-TV documentary "biased, histrionic and inaccurate" and even "amoral and psychopathic." William Foege, M.D., then director of the CDC and one of the seven former CDC directors who endorsed the March of Dimes press release now criticizing ABC-TV for airing a fictional episode about vaccines and autism, in 1982 declared that the NBC- TV report about DPT vaccine risks was "an unbalanced view - bias, in my view, and inaccuracies to carry its destructive message.....not an example of responsible journalism." Three years later, the U.S. Congress would acknowledge the reality of DPT and other vaccine brain injury and death by passing the National Childhood Vaccine Injury Act of 1986. This societal acknowledgement was followed by the publishing, in 1991 and 1994, of four reports by the Institute of Medicine that DPT vaccine can cause brain inflammation and permanent brain damage and that other childhood vaccines can cause varying degrees of brain and immune system dysfunction, as well as death. In 1996, after parents of vaccine injured children had lobbied industry and government for 14 years, the FDA licensed a purified DTaP vaccine for babies. To the credit of the owners and management of ABC-TV, the network has so far refused to cancel the premiere episode of Eli Stone that features a family struggling with issues familiar to parents whose children regress into autism after vaccination. 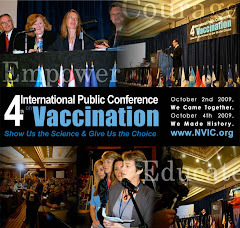 Since 1982, Americans have depended on members of the Fourth Estate to illuminate for the public the scientific, medical, economic, political, social and ethical issues involved in the vaccine safety and informed consent debate. Hopefully, ABC-TV and all print and broadcast media outlets will hold the line against this latest threat to freedom of thought and expression by a medical community determined to silence people crying out for recognition and help for their vaccine injured children. Parents deserve more from the pediatricians and doctors, who they entrust with their children's lives, than denials, hostility and disrespect. They deserve to have their questions about vaccination answered honestly; their concerns about vaccine risks taken seriously; and their children treated with the same compassion that doctors would treat their own children. They expect that, when their children regress after vaccination into poor health, pediatricians will leave no stone unturned, including exploring the possibility that vaccine(s) played a role in their child's development of autism, learning disabilities, ADD/ADHD, epilepsy, asthma, diabetes, arthritis, intestinal bowel disorders and many other kinds of brain and immune system dysfunction. Mothers and fathers expect that - whether or not mercury preservatives in vaccines have or have not been "proven" to be the cause of the autism epidemic - that pediatricians and all doctors would instinctively adhere to the "First do no harm" precautionary principle and support the immediate removal of a known neurotoxin from vaccines they inject into babies. Parents do not expect doctors to collectively stick their heads in the sand and turn away from their responsibility to find out why the biggest epidemic of chronic disease and disability among children in the history of our nation is associated with the more than doubling of the numbers of vaccines doctors give to them in the first few years of life. In 1983, when pediatrician leaders of the AAP Redbook Committee met with co-founders of the National Vaccine Information Center to discuss DPT vaccine brain injuries, I begged them to take seriously the reports by parents that their children were regressing physically, mentally and emotionally after vaccination so that steps could be taken to minimize the risks. I warned them that "a system that will not bend will break." In 2008, after 26 years of waiting for pediatricians to open their eyes and realize that leaders in the AAP, AMA, and CDC have betrayed their trust by denying the truth about vaccine risks, parents are taking matters into their own hands. If the mass vaccination system breaks, the blame can be put squarely at the feet of doctors who have waited too long to stand up and say "The lie stops here and now with me." Senior Vice President of Entertainment Communications for "Eli Stone"
Vice President of Media Relations for "Eli Stone"
On Jan. 15, a House health subcommittee in the Virginia legislature voted 13-9 along party lines to approve legislation introduced by Delegate Bob Marshall (R) to delay until the fall of 2010 implementation of a new HPV vaccine mandate approved by the legislature and Virginia Governor Tim Kaine (D) last year. Governor Kaine disagreed with the move to push back the date because he said that parents can "opt-out" of giving the vaccine to their daughters for any reason. It is anticipated that the bill to delay the HPV vaccine mandate deadline for implementation will face stronger opposition in the Senate. The bill to delay the HPV vaccine mandate in Virginia was supported by parent groups concerned about rushing an HPV vaccine mandate when serious adverse events following administration of Merck's GARDASIL to young girls continue to be reported. Since GARDASIL was licensed in 2006, serious health problems reported to VAERS and NVIC include sudden loss of consciousness, seizures/convulsions, head injuries and fractures, Guillain Barre syndrome, joint swelling, blood disorders, abnormal cervical smears, spontaneous abortions and other adverse outcomes following receipt of GARDASIL. Parents opposed to the Virginia HPV vaccine mandate also question whether most parents will be informed there is an "opt-out" provision which does not require filing a medical or religious exemption and whether the bureaucratic process for "opting-out" will be easy or complicated. There have been no clear guidelines issued for how the "opt-out" process will work. The Virginia legislature stands alone as the only state government to mandate GARDASIL vaccine. Every other state has rejected proposed mandates aggressively pushed by Merck last year. Major medical organizations, including the American Cancer Society and the American Medical Association, have declined HPV vaccine mandates in favor of legislation encouraging parent/child education about HPV infection and the vaccine, as well as cost reimbursement for those families who want their daughters to get vaccinated voluntarily. An American Cancer Society official was quoted as saying "It is one thing to endorse the use of a vaccine against cervical cancer, but altogether another thing to require children to get it." In the 1970's, the Centers for Disease Control (CDC) recommended that doctors give children 23 doses of 7 vaccines (diphtheria, pertussis, tetanus, measles, mumps, rubella, polio) and most state legislatures mandated 4 or 5 of them for school entry. With the addition of 3 doses of HPV vaccine for girls, by 2008, CDC recommendations directed doctors to give children 56 doses of 16 vaccines (girls) or 53 doses of 15 vaccines (boys). Most states in America currently mandate about 10 of the federally recommended vaccines (diphtheria, pertussis, tetanus, measles, mumps, rubella, polio, HIB, hepatitis B, chickenpox) for school attendance. Some states are also instituting daycare and school mandates for pneumococcal, meningococcal, hepatitis A and influenza vaccines. The New Jersey health department, under rule making authority handed over by the state legislature, recently imposed new pneumococcal and influenza vaccine mandates on children attending daycare as well as meningococcal and Tdap vaccine requirements for children attending middle school. New Jersey becomes the first state to mandate influenza vaccine and also the state with the highest number of mandated vaccinations for children: 35 doses of 13 vaccines. The more vaccines state governments mandate, the greater the potential for a backlash from parents weary of their children being made pincushions by federal health officials who automatically recommend for universal use every vaccine the pharmaceutical industry creates for children. HPV vaccine - whether marketed by Merck or GlaxoSmithKline - should not be mandated. The ACA spokesperson is right: it is one thing to make HPV vaccine available for those voluntarily choosing to use it. It is quite another matter to force HPV vaccine on a child under threat of exclusion from school, particularly without the voluntary, informed consent of the child's parents. Virginia Delegate Bob Marshall has introduced a bill in the Virginia state legislature which would repeal a law passed by the General Assembly last year requiring sixth grade girls to get three doses of HPV vaccine (HB 89) by October 2008. Governor Kane has indicated he will not support a repeal of the mandate. Delegate Marshall has also authored a bill to delay the HPV vaccine mandate implementation until 2011 (HB 188). The health subcommittee of the Virginia House Health, Welfare and Institutions Committee will hear HB 89 and HB 188 this afternoon (Monday, Jan. 14). It is a possibility that the full Committee might hear the bills at a later date if they are not passed out of subcommittee. Virginia Governor Tim Kane signed the HPV vaccine mandate into law last year after it was revised to include an "opt-out" provision that did not require parents to claim medical or religious reasons for the "opt-out." Merck's GARDASIL vaccine is the only HPV vaccine on the market and Merck lobbied aggressively in Texas, California, New York and more than 20 states in early 2007 to push through HPV vaccine mandates. Texas Governor Rick Perry (R) issued an Executive Order in early 2007 to try to force GARDASIL to be given to sixth graders in Texas but the Texas legislature rebelled and later passed legislation over-riding the Executive Order. Virginia and New Jersey were the only two states to vote for an HPV vaccine mandate for pre-adolescent girls and both states modified the mandate to include an "opt-out" provision. A quick review of GARDASIL adverse health outcomes, which Virginia girls and young women aged 5 to 26 suffered and were reported to VAERS, revealed reports of loss of consciousness, seizures/convulsions, head injuries and fractures, joint swelling, blood disorders (ITP), abnormal cervical smears, spontaneous abortions, and medical errors (5 year old given wrong vaccine). The VAERS reports also included events labeled as life threatening or causing disability. The NVIC staff continues to receive reports from parents of young girls, as well as young adult women, living in many different states that indicate GARDASIL is causing atypical fainting/sudden collapse within several hours of vaccination, as well as other neurological events. Many of these health problems following GARDASIL are being written off as "coincidental" by nurses and physicians without any evidence the health problem would have occurred if the vaccine had not been administered. As usual, it is not the M.D. or Ph.D. “experts” but parents of vaccine injured children, who understand the bigger picture involving accumulating clinical evidence that many children are regressing and becoming chronically ill after receiving both mercury-containing and non-mercury containing vaccines. Parents know well that this one study cannot negate the fact that the medical establishment has refused to conduct the methodologically sound basic science research into the biological effects on immune and brain function of injecting infants and children with multiple vaccines containing many potentially toxic ingredients, including mercury. Over the years, many parents of vaccine injured children have reminded public health authorities of their duty to protect the lives of all children, including those who are at high risk of becoming vaccine injured. The contentious debate about vaccine-associated autism and whether or not mercury has played a major role in the development of regressive autism in record numbers of children since 1991 will not be over until at least 2010. Even then, it will be complicated by the continued use of thimerosal containing vaccines, such as influenza vaccine, that may be affecting a smaller but significant subset of children. Whatever the truth turns out to be with regard to how big or small a role thimerosal has had in creating an autism epidemic, the more than doubling of the numbers of vaccines children are given during the past quarter century, is a questionable national public health policy that is definitely not off the hook. Those maintaining that autism is simply a matter of genetics rather than a matter of genetic diversity dependent upon potentially modifiable environmental triggers will not be happy with that statement. It is an acknowledgement, however small, by California public health officials that development of regressive autism may well be about more than DNA. “Although this study by California's vaccine establishment clearly sustains the fact that California is in the midst of a growing autism epidemic and that California's system of reporting professionally diagnosed cases of full syndrome autism is the gold standard in the country, the conclusions in the study are flawed and premature, and does nothing to exonerate vaccines, particularly mercury containing vaccines, as a cause of California's autism epidemic. Although the mercury burden in vaccines has been reduced over the years, we know that even very small amounts of mercury can cause serious, life altering neurological damage. California's ban on mercury containing vaccines for pregnant women and children under three did not take effect until December 2006. Today, those children born after the ban took effect are between 4 months old and one year of age. California's developmental services reporting system DOES NOT include children under the age of three years old. It will not be clear what impact California's law banning mercury in vaccines has had on the rate of new cases of autism until at least 2009-2010 and later. Historically, the majority of children with autism enter California's developmental services system between the ages of 3+ and 9 years old. The prevalence of autism in California children continued to rise after many vaccine manufacturers started to remove the mercury-based preservative thimerosal in 1999, suggesting that the chemical was not a primary cause of the disorder, according to a study released Monday. The analysis found that from 2004 to 2007, when exposure to thimerosal dropped significantly for 3- to 5-year-olds, the rate continued to increase in that group from 3.0 to 4.1 per 1,000 children. "If mercury exposure in vaccines was a major cause of autism, then the number of ... affected kids should have diminished once they were no longer exposed to thimerosal," said Dr. Robert Schechter, lead author of the study and a medical officer at the state Department of Public Health. "That is not what we found." The study, published in the Archives of General Psychiatry, is the latest in a series that has investigated the connection between thimerosal and autism. The majority have found no association. But the latest findings failed to convince some parents and advocacy groups that have long blamed mercury, a neurotoxin, for the disorder. "This study presents a greatly over-simplified explanation of a very complex problem," said Claire Bothwell, chairwoman of the board at the National Autism Association, which works on behalf of families with autism. "Rising numbers do not confirm that thimerosal never had a role." Autism is a severe developmental disorder in which children seem isolated from the world around them. There is a broad spectrum of symptoms, marked by poor language skills and an inability to handle social relations. Over the past two decades, the number of cases has boomed for still-unexplained reasons. Psychiatrists estimated that 20 years ago there were 0.2 to 0.5 cases for every 1,000 children. In 2007, the national Centers for Disease Control and Prevention estimated that there were 6.6 cases per 1,000 schoolchildren, based on a study of 8-year-olds. The latest study was based on data from the California Department of Developmental Services, which provides services to about 36,000 people with autism and has one of the country's best reporting systems. The researchers looked at all reported cases in the state starting with children born in 1989. They found the number of cases per 1,000 children has been steadily increasing from that point to March 2007, the end point of the study. In a commentary accompanying the study in the journal Archives of General Psychiatry, Dr. Eric Fombonne called the data "a clear and unambiguous test." "Parents of autistic children should be reassured that autism in their child did not occur through immunizations," wrote Fombonne, a psychiatrist at Montreal Children's Hospital who was not involved in this study. Fombonne has provided advice to vaccine manufacturers in the past but has received no research funding from them, he said. Steve M. Edelson, an experimental psychologist who is director of the Autism Research Institute, a nonprofit organization in San Diego, said the study, along with evidence from previous research, argued against thimerosal as the major culprit in autism. But, he added, it still does not rule out all blame. Edelson said such large-scale analysis could overlook smaller groups of children, who for whatever reasons have a particular vulnerability to mercury. He said more solid evidence can only come from laboratory studies, such as postmortem analyses of the brains of autistic children. The National Autism Association criticized the study, saying that some children still might be exposed to mercury through either flu shots or trace amounts in other vaccines. The group also said that some vaccines containing thimerosal had expiration dates as late as 2005 and might have been used up to that point. (HealthDay News) -- Adding to a growing body of evidence that rejects the idea that immunizations boost autism rates, a new study finds no proof that incidences of the disorder dropped after makers of most childhood vaccines stopped using a mercury-based preservative in their products. Researchers found that autism rates in California continued to rise over the past several years, even though the preservative -- known as thimerosal -- had vanished from almost all vaccines by 2001. The study makes clear that "thimerosal cannot be the major cause of autism in California," said its lead author, Dr. Robert Schechter, medical officer with the Immunization Branch of the California Department of Public Health. Another expert called the study limited and said it did not prove that vaccines have no connection to autism. Still, the new research "adds to the body of existing evidence in which there is no causal connection that demonstrates thimerosal is a primary cause" of autism, said Andy Shih, vice president of scientific affairs for Autism Speaks, an advocacy organization. Thimerosal, a preservative once used in contact lens solutions, was frequently a component of childhood vaccines until around 2000. Today, it's still used in flu vaccines recommended for infants, but researchers think children are still exposed to much less thimerosal than in the past. In recent years, some parents have blamed their children's autism on the preservative, which is derived from mercury; others have accused the parents of creating public panic and threatening the health of children by casting a bad light on routine immunizations. One government study released in 2007 claimed that thimerosal exposure in the first seven months of life didn't appear to affect the brain function of children aged 7 to 10, although there was some evidence -- perhaps the result of chance -- that connected thimerosal to later development of physical tics. Even earlier, an Institute of Medicine report released in 2004 found no evidence supporting a link between thimerosal and autism. In the new study, published in the January issue of the Archives of General Psychiatry, researchers from the California Department of Public Health examined statistics about children in the state from 1995 through March 2007. The prevalence of autism among kids aged 3 to 12 grew each year, the researchers discovered after looking at numbers compiled by a state agency that provides services to children with the disorder. For example, the prevalence among kids born in 1993 was three in 10,000 when they were checked in 1996, compared to 13 per 10,000 among those born in 2003 and checked in 2006. The highest rate -- 4.5 cases per 1,000 births -- came among 6-year-olds in 2006 who were born in 2000. The study authors pointed out that autism rates among kids aged 3 to 5 continued to grow for each birth year after 1999, even though thimerosal use dropped. Shih said the study methods are "robust," adding that the authors appeared to address limitations of earlier studies. However, he said, the research "doesn't address the possibility that there might be a subpopulation who might be particularly vulnerable to a vaccine with thimerosal." If just 1 percent to 2 percent of children were especially sensitive to the effect of thimerosal, the study wouldn't be able to pick it up, he said. Schechter agreed, saying it was true that the research didn't address whether thimerosal might cause problems in a small number of cases. As for a possible link between vaccines and autism, Shih said, "the jury is still out," especially considering that children are exposed to a large number of vaccines before age 2. And he added, "Some people in the community feel that they might lead to immune problems that could either exacerbate or lead to autism. All this is purely hypothetical, but this is an area where we need to continue to do more research." We are only a few days into the New Year and, already, there is another situation brewing where a militant approach is being taken by state education and health officials threatening parents that their children will be suspended from school for failure to get vaccinated. On Tuesday, Jan. 8, more than 100 middle school students in Bellport, NY could be suspended from school if they do not show proof that have gotten a Tdap booster shot and chicken pox vaccine, according to a Suffolk County Health Department official. Reportedly, a mobile medical unit is scheduled to come to the school on Monday to inject students who don't show proof they have gotten the vaccines. Last November, the Vaccine Police in Maryland brought out the dogs at a Prince Georges County Courthouse to supervise lines of parents, who had been ordered under threat of jail time and fines to show up with their children to get the children injected with chicken pox and hepatitis B vaccines. That mass round-up generated national news. Maryland education and health officials said that the parents had not responded to letters informing them that they were being charged under state truancy laws because their children had not been attending school after being suspended for failing to show proof of vaccination. But many of the parents said they never received the letters or the schools failed to keep proper records and lost the paperwork showing their children had gotten all the required vaccines. According to parents who exited the Maryland Courthouse in November with their children, there was no medical screening of the children getting shots and no information about how to monitor for vaccine reactions. It appears that the militant approach to enforcing vaccine use is becoming very fashionable among state education and health officials, who are using it whether there is a disease outbreak or not. The only way for the people to counteract the nasty impulse of government officials to flex their muscles (sometimes with the help of dogs and guns) is to let government and elected officials know that intimidation, coercion and other strong-arm tactics are not an acceptable form of persuasion in America when it comes to vaccination. The right to informed consent to use of any pharmaceutical product, including vaccines, becomes a human right when that pharmaceutical product can injure or kill. Defending the human right to informed consent to vaccine use is worth standing up for in every state. The parents in New York are being threatened that their children will be suspended for failure to get a Tdap booster or chicken pox vaccine today. But tomorrow, these parents could well be summoned to a New York County Courthouse with their children under the threat of jail time and fines like the parents in Maryland were in November. Parents should be given full information about the benefits and risks of Tdap and chicken pox vaccines and full information about the right to file a medical or religious exemption to vaccination in accordance with New York laws. Hopefully, the mobile unit medical personnel scheduled to vaccinate the children on-site at schools on Monday will screen the children for personal and medical histories and previous vaccine reactions, especially to the "P" part of the Tdap shot. New York residents concerned about the right to make informed, voluntary decisions about vaccination should contact their elected representatives and make their voices heard. 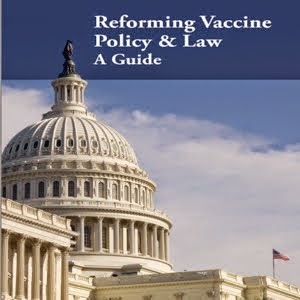 All elected officials in America at the state and federal level should be made aware that militant enforcement of public health policy which requires pharmaceutical product use, including forced vaccine use, violates the ethical principle of informed consent and will not be tolerated.